SMS is currently utilized by dealers representing over 100 different seed companies. "I wanted to take a few minutes to let you know how your software, SMS+MULTI-CO, is working for us." "We got serious into the seed business four years ago. At that time we started with the SMS software, and have grown with it every year. We are selling seed from corn, soybeans, alfalfa and sunflowers to wheat, millet, pasture grass and turnips. We are dealers for Monsanto, Garst and Croplan as well as a number of specialty suppliers. We have a main warehouse and two branch locations as well as affiliate farmer dealers." "I use this software as my Heart and Soul. It tells me exactly where our inventory is at all times, from a customer order to which warehouse the seed is located. I would not like to attempt to manage this task without this software." "We have been using your Seed Management Software for four years and I don't know how we ever got along without it. After the introduction of multiple versions of the same hybrid (ie. conventional+RR+RR/BtY+BtY+Waxy, etc.) with multiple seed sizes, SMS has been invaluable as a tool to manage our seed inventory. I no longer spend valuable time in the warehouse counting and recounting our inventory." "It has also simplified the process of tracking lot numbers. In fact, last year we had 100% accuracy for all our seed, including lot numbers and even pallets. The invoices and reports are easy to use and provide an efficient way to track ordering, receiving, payment and delivery of seed. The invoices are especially nice since they eliminate the chance of calculating errors and provide a clean, professional copy for the customer." "In my opinion, any dealer not currently using SMS would benefit from it. SMS is an excellent product and our dealership is more efficient because of it." "SMS portrays the professional image that we want our customers to see. We like how SMS makes all the calculations for our invoicing while quietly updating our inventory numbers. The reporting feature of SMS aids us in managing our inventory needs. SMS gives us the reports we need to comply with both ours and company management needs. SMS is very user friendly and we have found the product support to be tremendous." "The SMS software has really helped the way I keep track of my seed sales. I've been really happy with the ease of operation. I'm no computer genius, but it was really easy for me to run the system. The other software that I tried was very diffcult to get used to. The inventory was another big plus of this system. I've always had a problem keeping track of what I had in my warehouse. If you or your company are selling seed, I suggest you try this software. Go with the best, try SMS." "I really like SMS because I spend less time struggling with inventory and have the benefit of more time for sales. It is easy to use and I have a complete on-line help system with Metasoft. The sales invoices really make my Seed Dealership look more professional and I would highly recomend it to anyone in the seed business." "Thank you, Char Roberts, for building a program for seed dealers. A user freindly tool that understands what we need. Designed by the wife of a seed dealer, who is only a phone call away, when I run into trouble. I appreciate how MetaSoft has made managing our seed easier." "My husband Verlyn and I are multi-company seed dealers in central Kansas. We have been in this business for close to thirty years and have used several computer programs, plus the old hand method, to try to keep track of customer accounts and of inventory. In today's seed business, we as dealers stand between the needs of our customers and the seed companies with their problems of developing technologies and shortages. As a result, we must know every day what is available to our customers. We are now in the second year of using the SMS program. Char Roberts, who developed this program, is in a perfect position to develop an effective program because of her knowledge, both of computer programming and of this business through her husband's seed business. This amazingly flexible program allows one to keep complete track of customer's orders, deliveries and payments, plus as importantly, to stay on top of inventory, including what has been ordered and not delivered. Thus, one continually knows exactly what is available to sell. For each facet of the program, there is a complete help section available in the program. Plus, my experience is that when one needs to call, Char is right there to help. Verlyn and I have it worked out: he sells and I collect. Neither one of us would consider changing from the SMS program , even for a day! This program is one of those gems that one seldom finds that actually make life simpler!" "I have waited a long time to write a testimonial about SMS because I just couldn't figure out what to say about SMS, MetaSoft, and Char in just a few lines. 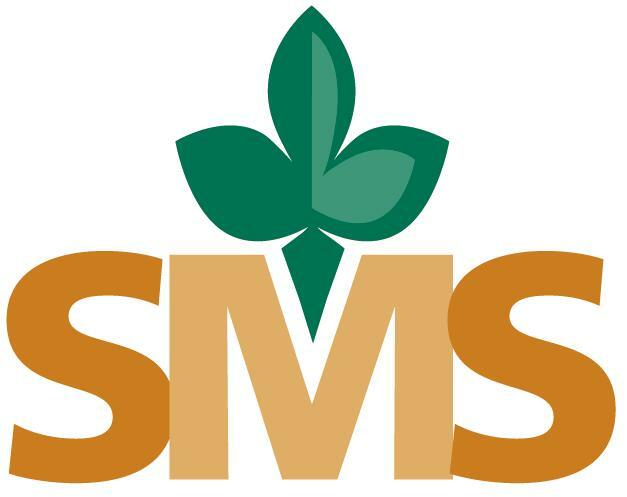 I have been a seed dealer for 25 years now and have used SMS for several years. SMS is one of the most outstanding pieces of software I have ever encountered. SMS has made being in the seed industry a breeze from it's easy entry system to Inventory tracking, professional invoicing and on and on. SMS is truly a unique software program. But what really makes it special is the person behind the programming. Char has been a tremendous asset to my business. I honestly don't know where I'd be today without her. I have never encountered a person so open to ideas and the willingness to adapt and make changes to a program for such little in return. I can't count the number of changes Char has made over the years as the seed industry has evolved. This is truly what makes this program a must have for any seed dealer of any size."